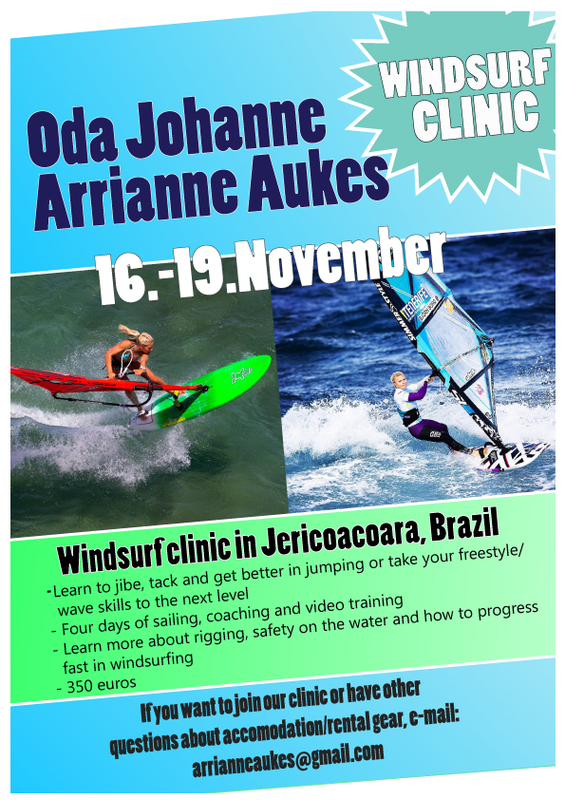 Windsurf clinic in Brazil with Arrianne Aukes and Oda Johanne in November! Arrianne Aukes and I will help you improve your skills on the water in Jericoacoara! E-mail arrianneaukes@gmail.com to book.